The first is my lovely wife's feet at the pool. Dangit, even when her face is out of focus she rocks my world! 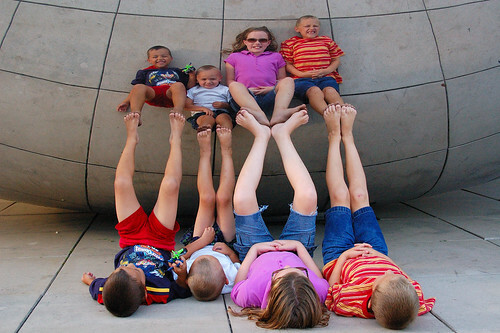 The second is a favorite of my kids from last summer with their feet firmly planted on the bean. I'm thinking of them a lot as Father's Day approaches, and as their mother is suffering right now. Check out the rest of my photography, especially this delicious photo of my family, which I had forgotten about until a couple of days ago.